One of the biggest hurdles getting in the way of a successful employee advocacy program, is the employees’ desire and apprehension to join. Often, there will be employees that just simply do not want to join, and that is expected and totally normal. Like anything, quality over quantity is a massive factor when it comes to an employee advocacy program; employee advocacy programs need to be manageable for whichever team is taking the lead, to ensure that they’re able to effectively train employees and get maximum results. On top of this, employees that have to be forced to join a program, are not going to be the best advocates or bring in the best results. In order for employee advocacy to work and stay true to what it’s all about, employees have to want to do it. But for the most part, employees can be given that small amount of convincing that they need. You just need to make sure that you understand every possible reason employees may object to joining, so that you can effectively sell in the idea. As with most things, it comes down to communicating the what, how and why. Let us take you through the three most common barriers. Here we are talking about the fear factor; employees that want to be involved, but they’re too worried about tarnishing their brand’s reputation by sharing the wrong kind of content, or saying the wrong kind of thing. This is a very valid concern and the kind of attitude you do actually want your employee advocates to have; they’re showing that they are invested in and care about the brand’s reputation and its success, and do not want to negatively implicate the brand in any way. But this fear can be managed. True employee advocacy isn’t about your employees being your brand’s spokespeople; it isn’t about them just sharing branded content and saying great things about their employer. If they want to do this authentically, then great. But the type of employee advocacy that we are passionate about, is giving your employees a voice and positioning them as experts in their field. It’s about them sharing interesting topical, industry content with their target audiences, as well as writing their own topical thought leadership content. When the content shared is more topical, rather than being branded content, there is less concern for employees treading in muddy water. To mitigate risk further, make sure that you provide guidelines and training to your employees before you kick off the program. Where appropriate, you can also integrate tools where you can upload brand approved and vetted content to the tool, so that employees can feel confident in knowing what they can and can’t say/share on social media. It is all well and good encouraging your employees to share topical content over branded content, but how do they source it? There is so much content out there, that it is often difficult to know where to start in finding quality content. 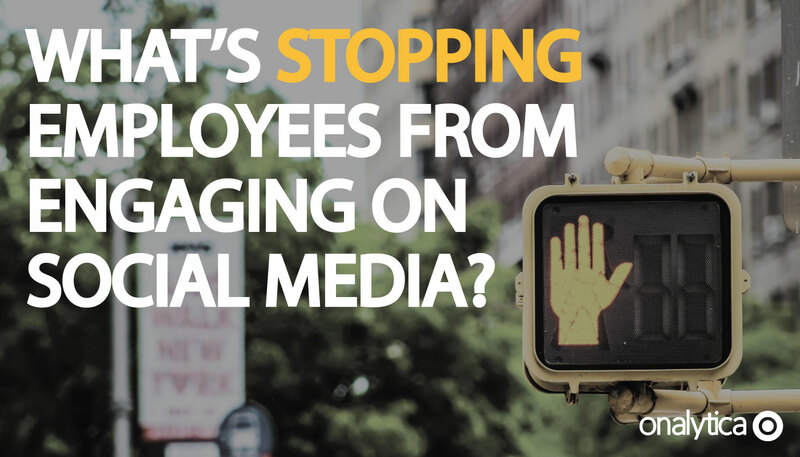 The key here is to make sure that your employees aren’t just sharing content with little thought or without reading it first. The idea is that you’re just making it easier for your employees to find content that they themselves will find interesting and want to share with their target audiences. When it comes to sharing the content, make sure that you’re providing as little or as much training as needed; that you’re considering each employee’s social media skills & experience and tailoring the training to them. Some employees will be keen to join, but have never used social media before, so you will need to hand hold them through the whole process of signing up, uploading a picture, writing a bio and making connections. Others, will be keen to join, but social savvy, so may just need help optimizing their profiles (e.g. re-writing their bio to include topical hashtags). Despite this being last in the list, it is the hurdle that should be addressed first, as if they don’t get the why, there’s no point taking them through the how. The issue with most employee advocacy programs, is that they only consider what the benefits are to the brand. Brands want to increase brand awareness, amplify their content and gain access to new audiences, so they turn to employees and influencers. After all, employees collectively have much more reach than brand handles in a lot of cases. But how does this benefit the employees? Why should they want to join? What are the benefits that will directly impact them? This is where the ‘what’s in it for me?’ comes in. We are going to address the ‘what’s in it for me?’ in next week’s blog post, so stay tuned for that. If you would like help kick starting your brand advocacy programs with your influencers and employees, get in touch clicking the button below.